A good place to start is with the law. Review the Florida Constitution and the Statutes relating to compulsory attendance and non-public school options. In fact, Title XLVIII of the Statutes is a good one to bookmark, as all education related items can be found here. The Florida Online Sunshine site allows you access to all of the above and provides a way to search for new bills and obtain other information. There are even Kids Pages, which is a great way to involve your child. 1. 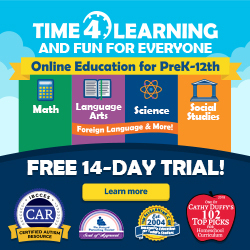 Enroll in a non campus-based private school, that is, a private school that facilitates home education, and follow the procedures set by the school. 2. Establish a home education program as defined in the statutes by sending a Notice of Intent to the local school superintendent, maintaining a log of activities and portfolio of work, and filing an annual evaluation using one of five evaluation choices. 3. Establish a Private Tutoring Program. While any of the above choices will provide compliance with Florida’s compulsory attendance laws, each has different implications for you.. While some of these differences go to issues of recordkeeping and methods, the heart of the distinction is whether you want to be accountable to the state or to a private entity. Private school students are overseen by administrators you select. Identifying data about the student and samples of the student’s work are never shared with anyone outside of the private school (other than at your request). 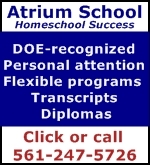 Home education students are overseen by government employees at the school district. Parents must file annual evaluations with the district and are be required to show their record-keeping and samples of the student’s work upon demand by the Superintendent.